Fun Home is a memoir, told in a snarky yet guilt-ridden style, and memoirs necessarily are self-indulgent exercises without balance. Alison Bechdel grew up within the family business, a funeral home housed within a Gothic Revival mansion in rural Pennsylvania. 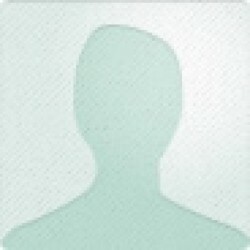 Bruce, her father, runs the funeral parlor on the side while teaching high school English. Bruce is also a deeply closeted man and his lesbian daughter seems to have never doubted her sexuality. The story itself is overlaid with motifs from Greek mythology and literature. Fun Home re-visits events over and over through these two lenses after revealing previously undisclosed facts. Restoring the house itself is an obsession for Bruce, applying a veneer of urbanity to a structure that houses his wife and children, an additional masquerade. Early on in her narrative, Bechdel describes her father as “an alchemist, a savant of surface, a Daedalus of décor" because the perfection of the house is a façade, hiding the unhappy family within as well as “my father’s more fully developed self-loathing." This camouflages Bruce’s other passion, young men, even boys. Bruce ruthlessly enforces his vision of the house with no concern for the opinions of the rest of the family. Helen, her mother, is also an English teacher as well as a community theatre actress. When Helen is shown, she is usually sarcastic or disinterested; she endures her marriage through her acting and piano playing. In addition to wanting the perfect house, Bruce wants the perfect daughter, femme and flawlessly coiffed. Alison wants to emulate a manlier man than her father; she calls them “inverts” of each other. Bruce Bechdel dies after being hit by a Sunbeam Bread truck. Alison Bechdel sneaks images of Little Miss Sunbeam throughout the novel, haunting the background with her perfect curls and hair ribbons. Bruce, so concerned with image and appearances is chronicled by his daughter, a cartoonist with stark imagery in an effort to assuage the guilt she feels for ‘causing’ his suicide. 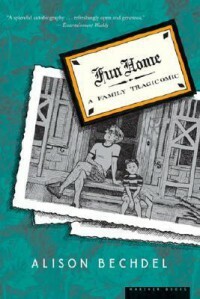 I liked Fun Home, it's the first original (not adapted from something else) graphic novel I've read, but I certainly wouldn't have read or bought it if it weren't required for class. The art and words are well-crafted but sometimes, seem too polished for the subject.